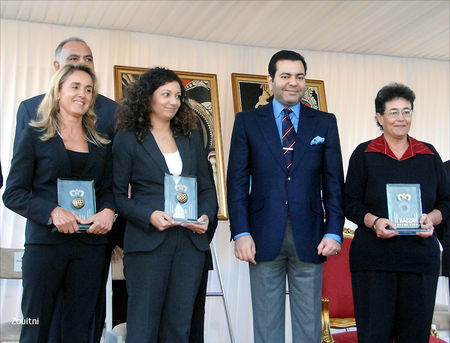 Rabat, November 10, 2008 - The participants of the 36th Hassan II Golf Trophy received some heartfelt congratulations from His Royal Highness Crown Prince Moulay Rachid, President of the Hassan II Golf Trophy, when He presented prizes among the winners at the ceremony held at the Royal Golf Dar Es Salam on Sunday. 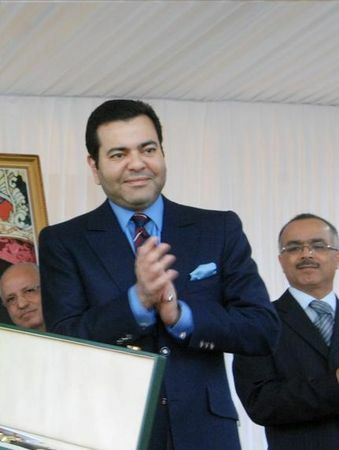 Looking characteristically radiant in a stylish tailored suit, Crown Prince Moulay Rachid has hardly had time to catch His breath this week, in a long string of commitments governing the state functions. 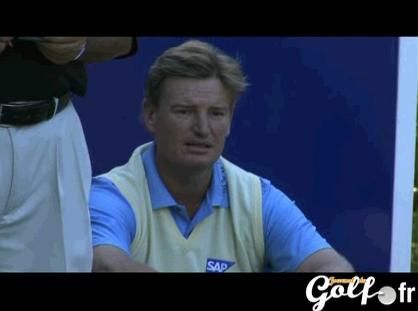 However, the 38-year-old Royal wasn't about to miss the annual golfing event, which is the most important international event in the Moroccan calendar. Crown Prince Moulay Rachid was clearly enjoying His opportunity to mingle with international golfers; witnesses noticed genuine warmth between the Royal and His golfing guests. The prizewinners each accepted their awards from the hands of Crown Prince Moulay Rachid at a formal ceremony in Rabat. 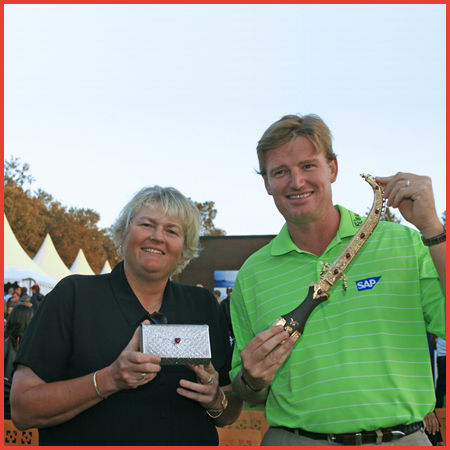 The Hassan II Golf Trophy title went to Ernie Els and the Lalla Meryem Cup to Laura Davies. A distinct feature of this year's Trophy was the participation of Morocco's junior players for the first time in the history of the trophy, thanks to the "wild cards" granted by Crown Prince Moulay Rachid. 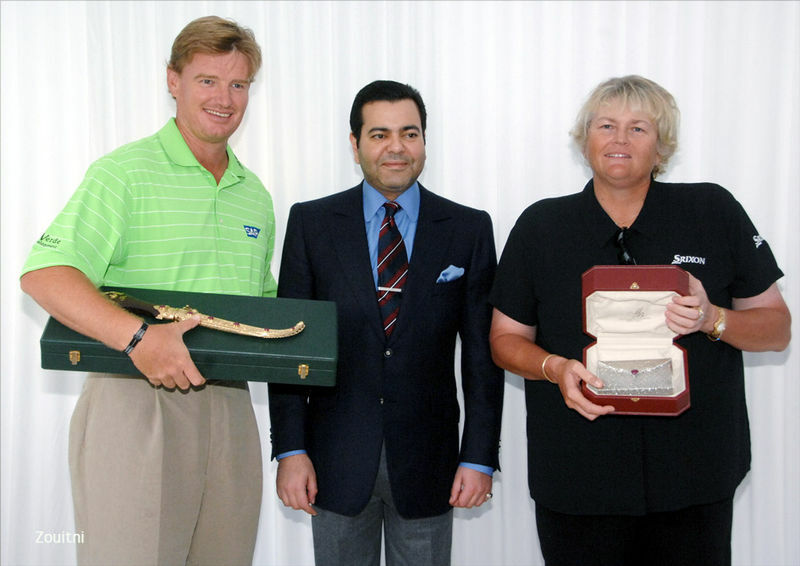 The Hassan II Golf Trophy is part of Crown Prince Moulay Rachid successful efforts to popularize sports among the young generation and preserve the rich culture and heritage of the country. 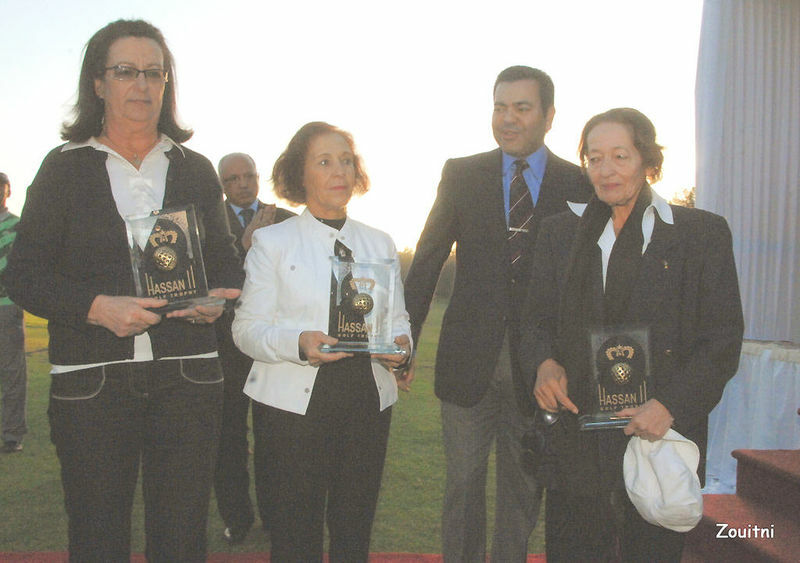 The Trophy, organized under the chairmanship of Crown Prince Moulay Rachid by the Hassan II Golf Trophy Society, proved to be Morocco’s most high profile event.